Generate random sequences of characters. Is there a better alternative to Random Sequences Generator? Is Random Sequences Generator really the best app in Productivity category? Will Random Sequences Generator work good on macOS 10.13.4? 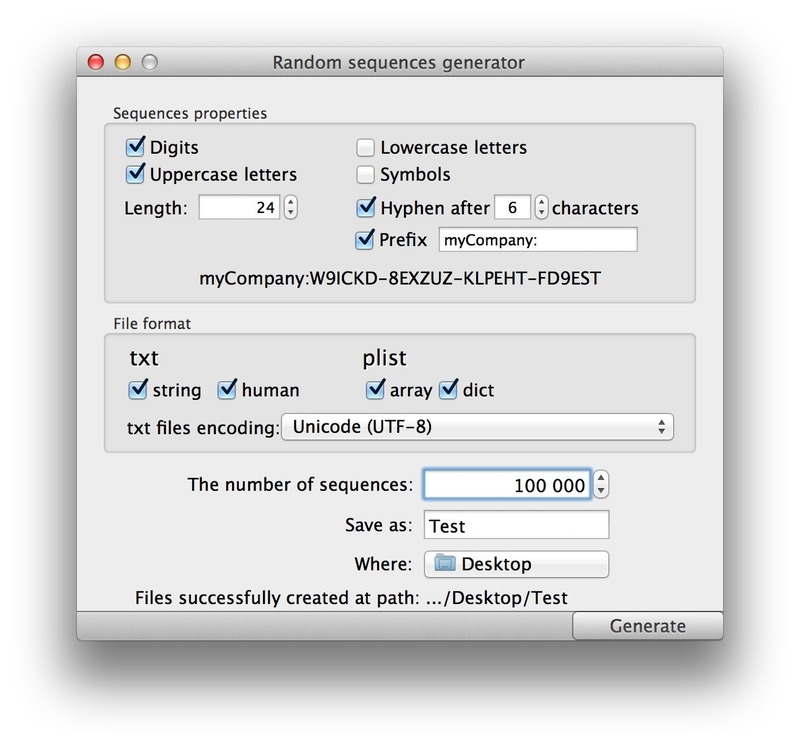 Random Sequences Generator is perfect for you if you are a software developer, the manufacturer of any product, or are one to engage in activities which involve the use of random numeric, alpha-numeric, or alpha-numeric-character sequences. Added support for multi-core processors. Now the generation of a huge number of sequences is done with tremendous speed! Random Sequences Generator needs a review. Be the first to review this app and get the discussion started! Random Sequences Generator needs a rating. Be the first to rate this app and get the discussion started! Any type of sequence can be divided into groups by means of a hyphen. For example: OB9D-0253-O770-0YUN-SUK4-BXX2-CXME. The application can also generate sequences of a specific length.